commercial buildings, Polo Stables, a Church and even a Best Western Hotel. Creek' - let us know. is awesome. Okotoks is just 15 minutes south of Calgary. fit on a conventional semi tractor trailer deck. Frames shipped to the U.S.
are duty free under the NAFTA trade agreement. live trees are cut to obtain these timbers. 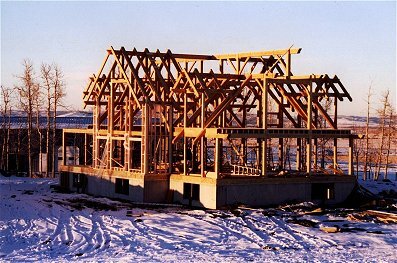 The oldest home in North America (built in the 17th Century) is timber frame. Classical style curved kneebraces are housed for extra strength and connection plates (beams) are embellished with an artistic curved detail that highlights the joinery, both structurally and aesthetically. 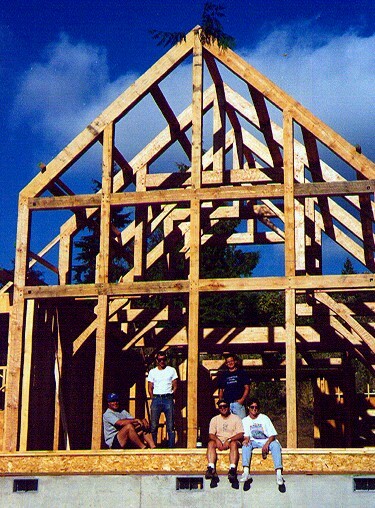 by step through the process of designing and building your timber frame. The Look... Old English or Old West? Our Antique Brushed finish is our customer's favourite timber look. The result is an 'aged, weathered' patina that is textured to the eye but relatively smooth to the touch. 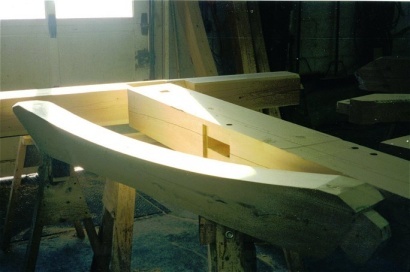 We can also smooth plane and sand the timbers to resemble fine furniture. Another popular look is our Olde World Handhewn finish, which emulates a traditional hand-crafted adze cut finish. The colour pallet is endless... from "Antique Cream" to "Old Leather" to "Tobacco" to "Espresso". 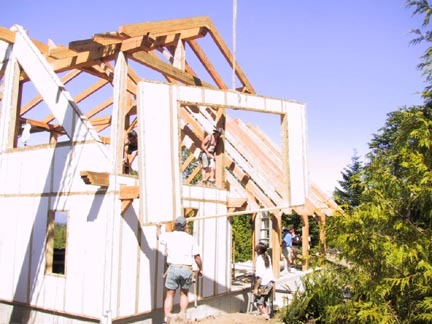 Your timber frame home can be rustic or sophisticated, cozy or grandiose. 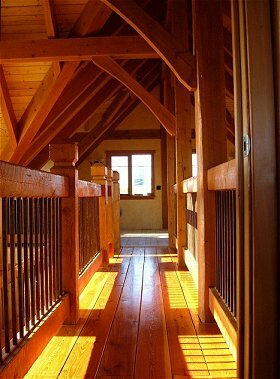 A true reflection of the owner's individualism, the feel of a timber frame room is limted only by the imagination. usually take from 1 to 4 weeks (depending on the complexity of the frame). order your timber. This process will take about 6 weeks. coincide with the ground and foundation placement on your site. 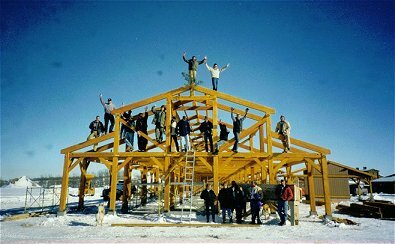 Usually when the foundation is complete the frame is ready to be raised. The Raising. All Together Now. home will end up being one of your great family memories. Simple. We have developed our own "TimberWall" Enclosure System. specifically for our timber frames. Potential for error is eliminated. Our panels fit our timber frames perfectly. Period. Panel style enclosure systems are a good idea and they're here to stay. insulating properties to those of typical 'batt' type insulation. 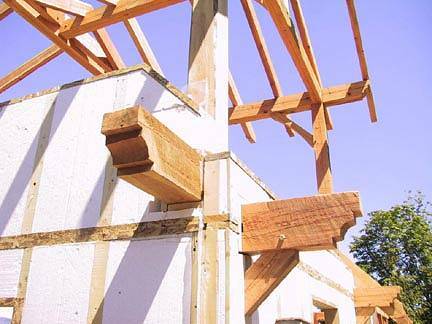 is equivalent to R-40 fiberglass insulation.